with 83000 lux working range and IP30 protection. 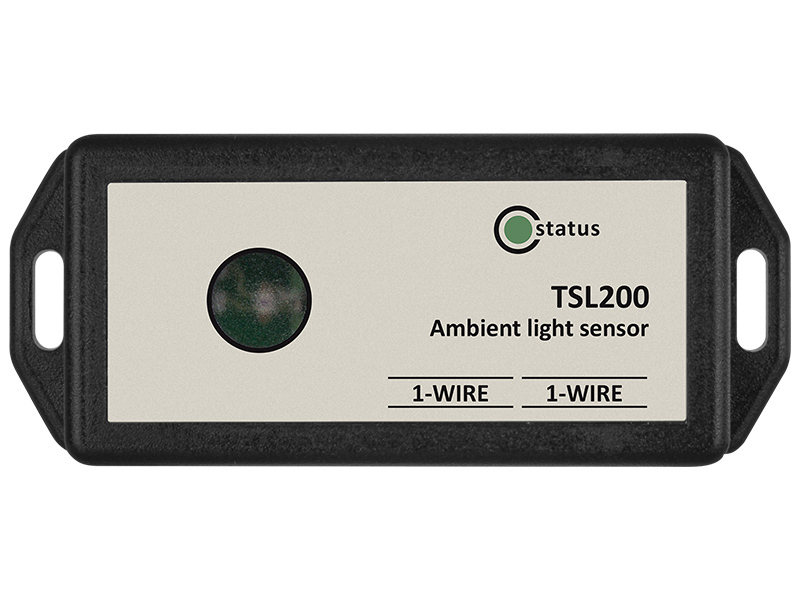 TSL200 is a 1-Wire ambient light sensor with high dynamic range and resolution. The dynamic range of 83000 lux guaranties precise measurements even directly to the light sources. The sensor measures the intensity of the visible light. It has a strong infrared (IR) rejection. This makes the spectral response of the sensor very close to the response of the human eye. 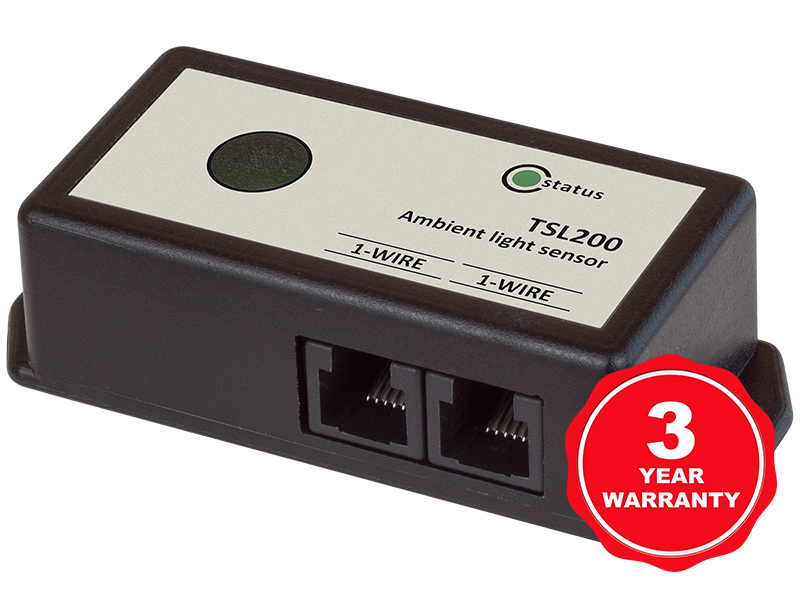 The 1-Wire ambient light sensor measures up to 83000 lux. It has automatic full-scale settings. This capability allows light measurement over a 23-bit effective dynamic range. This makes the sensor very precise on dark as well as on a very intensive light. The internal digital signal processing guarantees the long-term stability and repeatability of the measurements. With full factory calibration, the sensor requires no additional calibration on the customer’s side. The sensor communicates over the 1-wire interface. 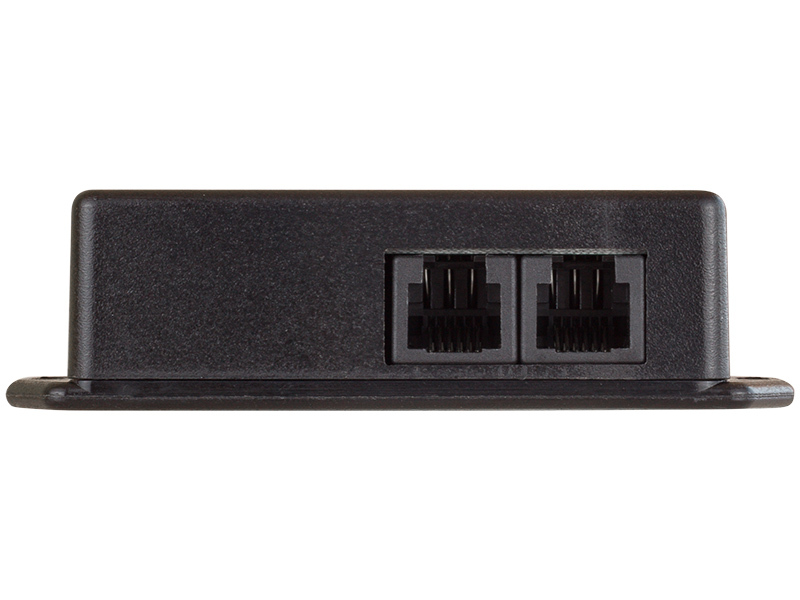 In order to make easier daisy-chain wiring, there is two RJ-11 connector available on the panel. The presence of a unique number for each sensor allows installation of multi-sensor systems. 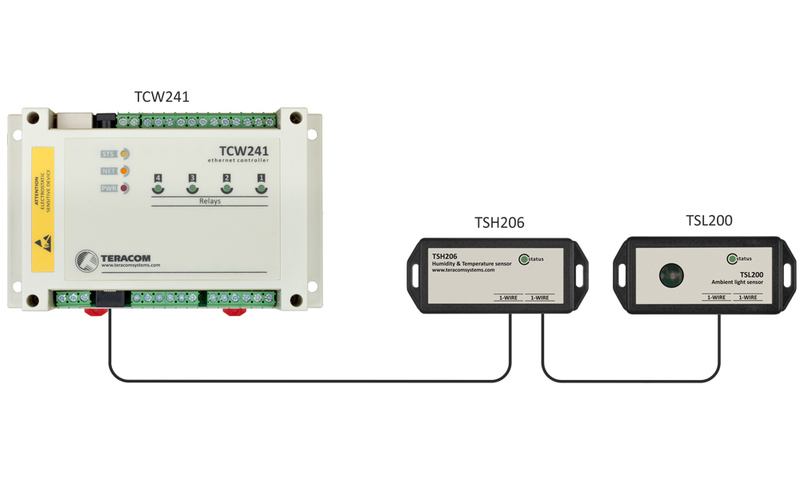 Moreover, the 1-Wire ambient light sensor can be combined with sensors for other environmental parameters to build a single-point multiparameter environmental monitoring. Unique 64-bit serial number for identification in multi-sensor systems.